www.blabl The Tudor Revival architecture of the 20th century was commonly called ‘mock tudor’ in Britain and first manifest itself in domestic architecture. In New Zealand, the architect Francis Petre adapted the ‘mock tudor’ for the local climate… and Tudor became Modern. Here in London the housing market is over-heated and micro-developer projects in non-contested fields, such as those not in Conservation Areas, are an alternative to housing stock contribution other than through ‘volume house builders’/ Incidentally this is a House of No Style. 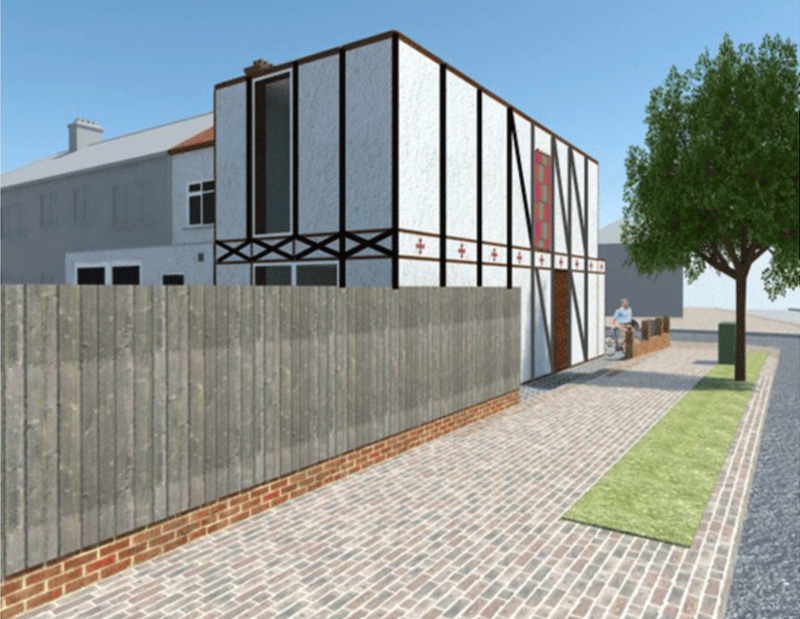 that we embrace suburban stylistic tendancies through strategies such as ‘Mod Tudor’ should be seen by planners as empowering and non-threatening in scale of development. Style? Well as a Public Image refrain it ‘could be black, it could be white’… it’s irrelevant given the affordability crisis.